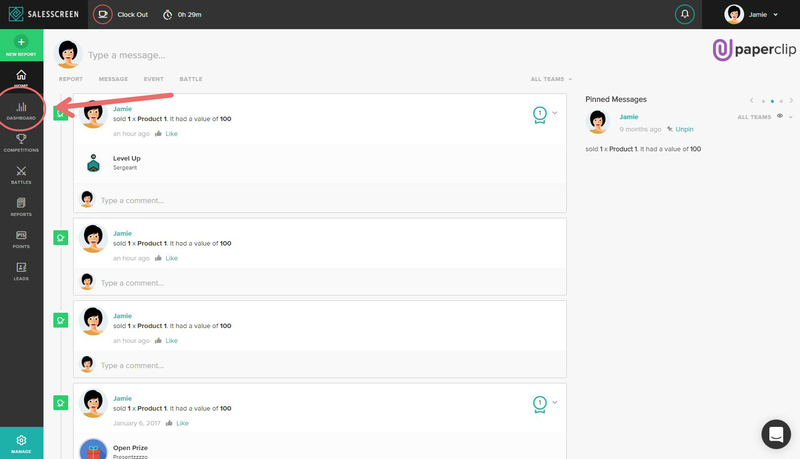 To create a new Board you first need to access the Dashboard area of SalesScreen. This is done by pressing the Dashboard link located on the left side menu. 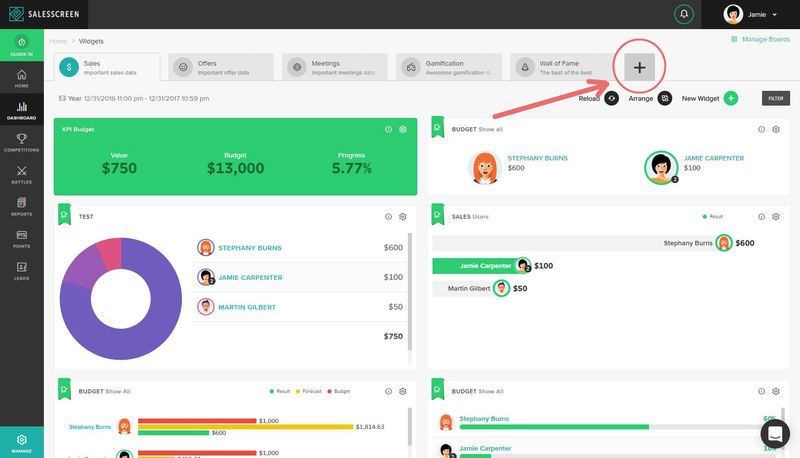 Once you are in the Dashboard area, you can add a new Board by pressing the button located on the top bar as shown in the illustration below. Pressing the "add new" button will take you to the following view. 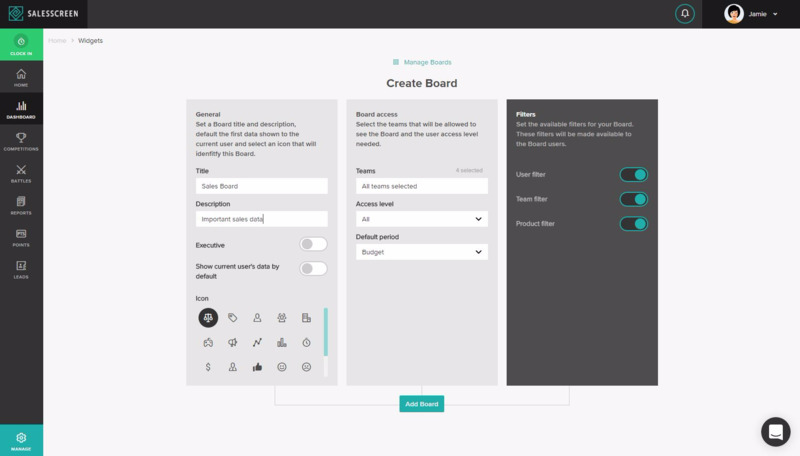 This view will let you set the various Board settings explained in How do I edit a Board? Once your prefered settings have been set you can add the new Board by pressing "Add Board" in the bottom part of the screen.